TRG Communities, (The Randolph Group), is an award winning residential and mixed-use development company specializing in creating imaginative places for people to live, work, and play, while enjoying a certain lifestyle of community. TRG Communities founded in 1997 was recognized by the National Association of Home and Professional Builder’s magazine and rewarded the Best in American Living. We consistently strive to create places and spaces, which result in the creation of enhancement of community while at the same time utilizing best practices of development. Learn more about TRG Communities Style. TRG Communities' strength is a rich history of successful developments across the Southeast, from Atlanta to Greensboro. TRG Communities provides a neighborhood atmosphere offering multiple housing styles and price ranges. TRG Communities current portfolio consists of developments in the Greenville and Charleston, South Carolina metro areas. See more of our Completed Communities below. Recognized, in 2010, as one of the 10 Best Comeback Neighborhoods by Southern Living Magazine. The downtown community was developed in partnership with the Community Housing Corporation of the Greenville Urban League and the City of Greenville. The community of 90 homes was completed with a community center, park, sidewalks, and distinctive architectural touches. A community in the heart of Greenville’s Eastside features a peaceful, charming atmosphere adjacent to Carisbrooke’s amenities. An urban pocket neighborhood built alongside the historic Southernside and Hampton-Pinckney communities of downtown Greenville. A single family residential community located at the foot of Paris Mountain and adjacent to the golf course at Pebble Creek Country Club. A planned residential community with spectacular mountain views located near Furman University. Amenities feature a swimming pool with pavilion, tennis courts, basketball and volleyball courts and a children’s play area. One of the first residential communities in the north Greenville area. Set the standard as one of Greenville’s premier new home communities through the implementation of creative land planning and the utilization of compatible local builders, the application of practical house plans, and outstanding amenities. A multi-phase community of over 650 traditional homes featuring a luxury swim and tennis club and clubhouse, pedestrian tunnel, two spring-fed creeks, stocked pond with fishing dock, a children’s play area and a multi-purpose recreational field. The anchor residential development for the Simpsonville sub-market. Recognized as Best New Community of the Year in 2003 by Builder Architect Magazine and acknowledged as the first traditional neighborhood design in the Greenville area& within walking distance of downtown Simpsonville. One of the first master planned communities in the Mauldin submarket. A multi-product community featuring a swimming pool and pavilion, lighted tennis courts and a children’s play area. One of the first residential communities in the Woodruff Road area in Simpsonville. A community of traditional single-family homes featuring a pool and pavilion clustered around a fishing lake. A collection of custom built homes with Club and Recreation Center, complete with two lakes, lush landscaping, leisure trails, and bike paths. A master planned community of single-family homes with a state of the art leisure club and recreation center including a resort style clubhouse & pavilion, swimming pools, tennis courts, basketball and volleyball courts, parks and bike paths throughout the community. Bordering the Chattahoochee River National Park. A master planned community with recreation club, tennis courts, and competitive swimming pool. A master planned community in Mt Pleasant with recreational complex, clubhouse and low-country style homes. A beautiful low-country neighborhood in North Charleston comprised of lush landscaping, sidewalks, and amenities. Located on Guilford College Road in Historic Jamestown, NC. A community of fine traditional homes and community recreation complex with junior Olympic pool and tennis courts. A master-planned community in a former olympic equestrian site featuring a clubhouse, deck areas, outdoor barbecue, tennis courts, walking trials and children’s play area. An extraordinary golf course community in Myrtle Beach with single-family homes, patio homes, and apartment homes. 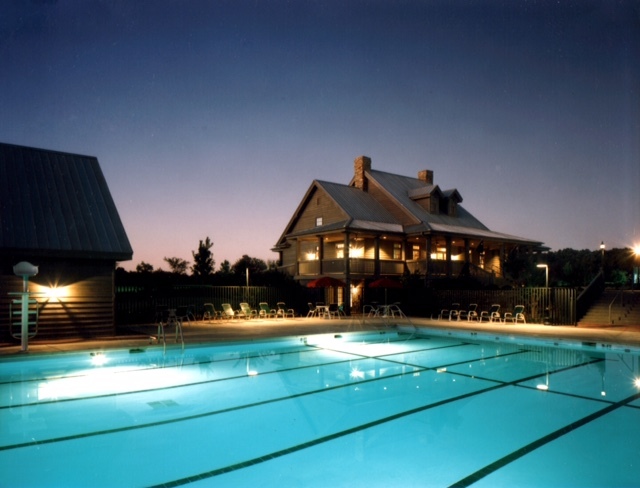 Adjacent to Arrowhead Golf Course, tennis courts, and junior Olympic pool. A master-planned community featuring a luxury clubhouse, swimming pool, tennis courts, multi-purpose playing field, children’s play area, and natural streams surrounded acres of wooded countryside.